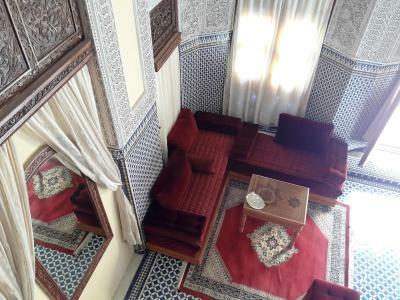 Lock in a great price for Riad Jaouhara – rated 9.3 by recent guests! 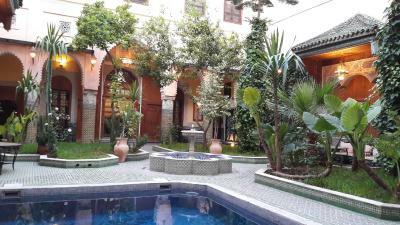 I had a great stay at Riad Jaouhara. 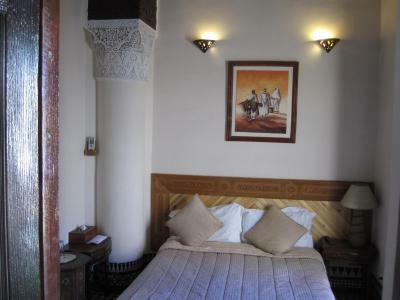 The staff are friendly and helpful, while the riad offers a nice balance between tradition and modern amenities. 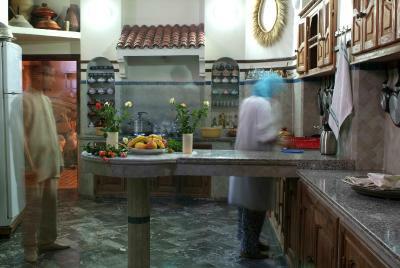 The atmosphere downstairs while you have breakfast is a great way to start your day before going into the city of Fes. The courtyard is lovely and breakfast was delightful! the staff, especially Ibrahim, (I forget the correct spelling) but he served every breakfast, took us from and to the taxi, brought our luggage all the way upstairs, gave great advice on restaurants and best of all was a warm intelligent person with a sense of humor. 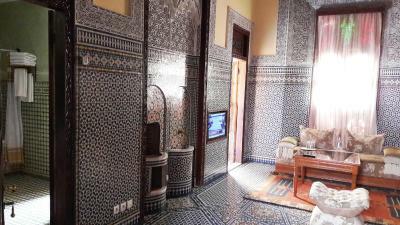 our suite was spectacular as was the entire riad; tile decor and white carved lintels everywhere; another guest said it was like the Alhambra of Cordova, a palace. Delicious food for at dinner. And...only one block from the taxis. The staff. 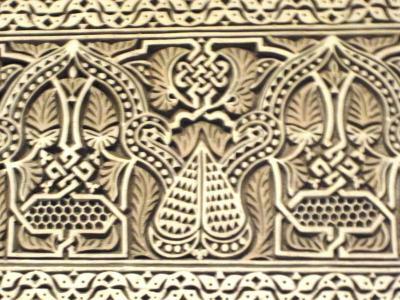 Absolutely excellent, especially Soukaina and Abdul. 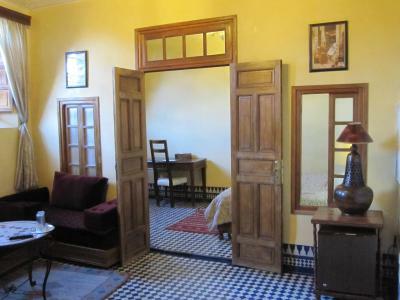 Lovely Riad in busy Fes with helpful owner and staff. 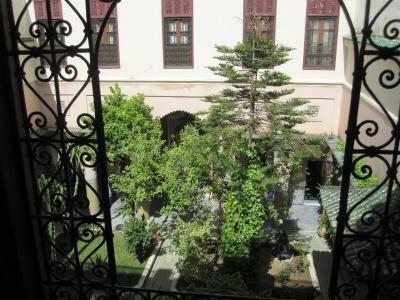 The interior courtyard is stunning, very peaceful and quiet given the very busy streets outside. Good breakfast and were able to arrange laundry for us at a reasonable price. 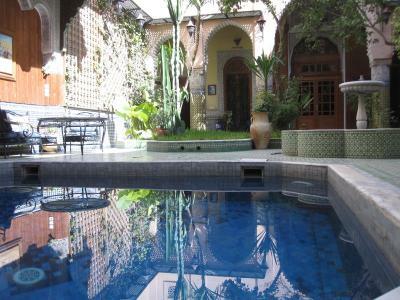 Absolutely fantastic place and space, situated close to the Blue Gate. 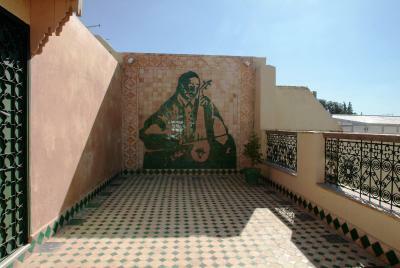 This is by far the better part of the Medina to stay in when exploring Fes. 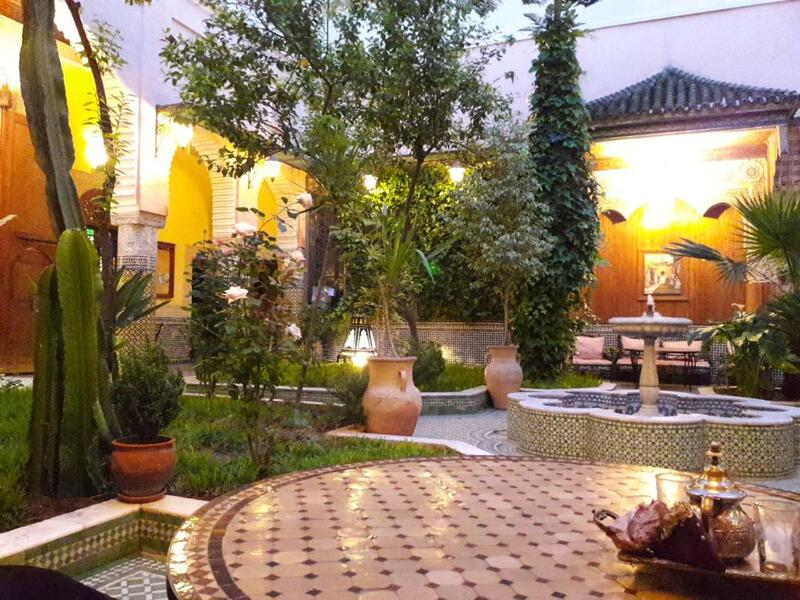 The Riad is truly amazing, the tranquility once inside is in stark contrast with the rambling chaos of the nearby market alleyways. Ample choice of good as well as touristy restaurants. There is a Veggie.pause restaurant right next door with fantastic smoothies. Great localization, beautiful design, warm and friendly staff. 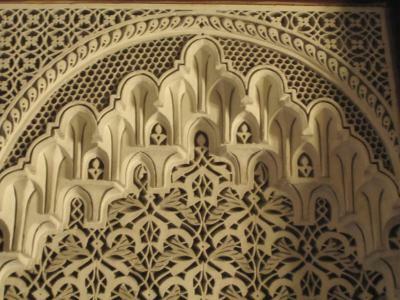 Riad Jaouhara is a beautiful place of traditional Moroccan design. As soon as you enter, the lush interior garden awaits you. Early in the morning, you wake up with the sound of birds chirping from the garden. 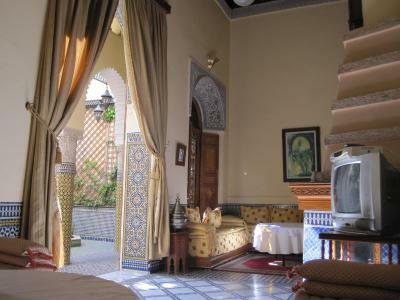 The room is big with all the Moroccan styling. 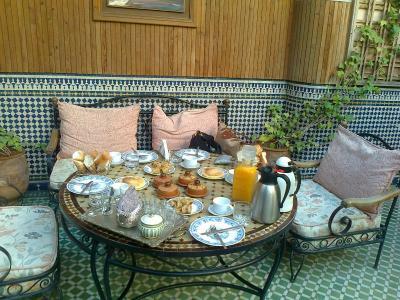 Although with limited choices, breakfast is served in different serving dishes, the traditional Moroccan way. 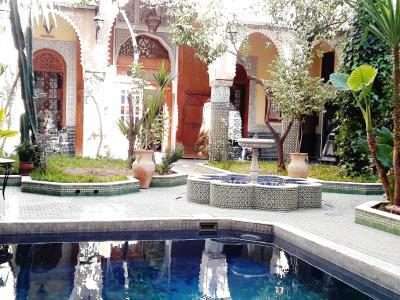 The riad’s location is perfect. Just a few metres from the Blue Gate but away from the main tourist trail towards the medina hence there’s less noise and crowd. Plenty of restaurants and shops around the area. 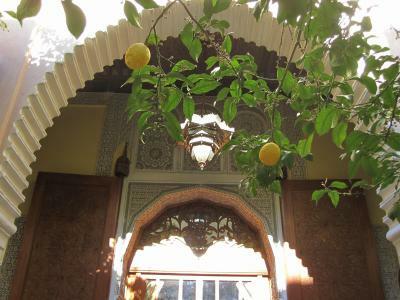 There’s quite a few as soon as you step out of the riad’s main door. The staff are great. Abdul is always there to help you out, including Soka and the manager Ali, who were all very accommodating. 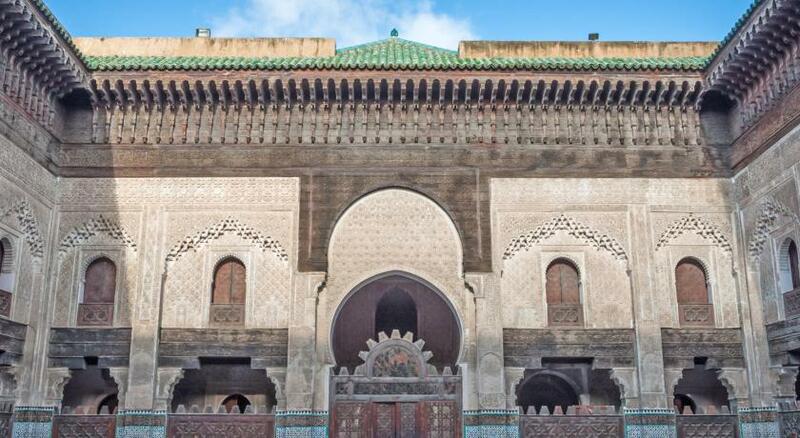 Located at the entrance of the Medina, Riad Jaouhara is just 650 feet from the Blue Gate in Fès. 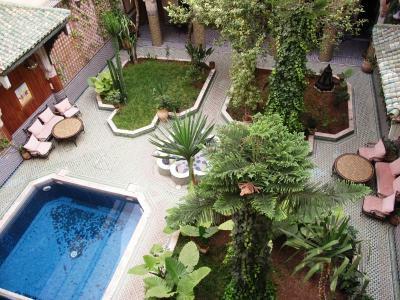 It is a traditional Moroccan riad featuring a swimming pool and a rooftop terrace with panoramic views of the city. 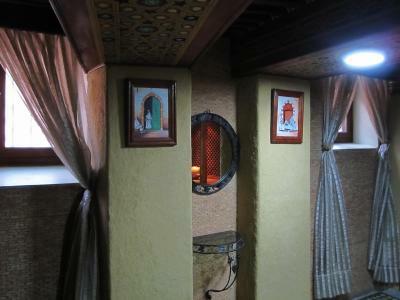 A traditional-Moroccan décor and a separate seating area feature in the suites at Riad Jaouhara. 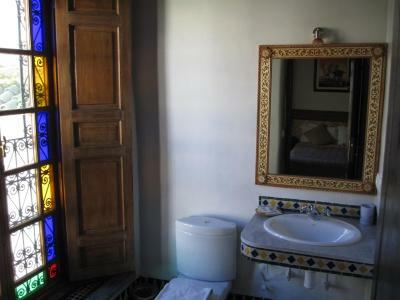 All are air-conditioned and some have an original fireplace and individually-painted mosaic tiles. 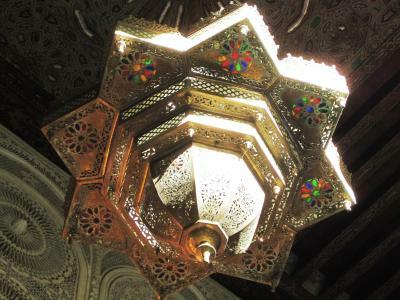 A continental breakfast is served every morning and Moroccan cuisine is offered in the traditional restaurant. 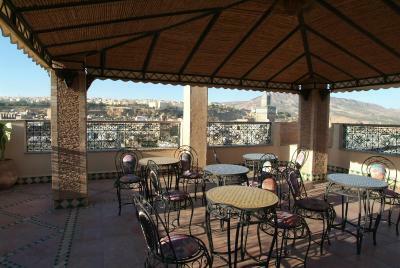 Guests can also relax on the rooftop terrace with a drink from the bar and admire the views. 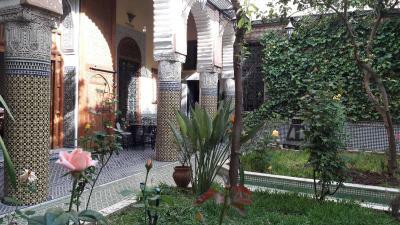 Free Wi-Fi is available in the patio plus public areas and public parking is also possible near the riad. 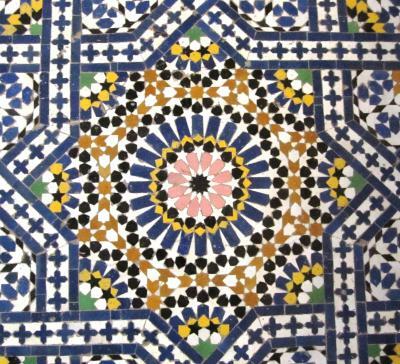 Guests can go on a day trip to East Atlas National Park, a 30-minute drive away and Fès Train Station is 10 minutes away in a taxi. 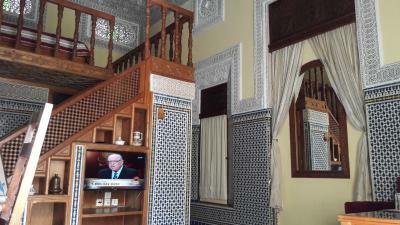 When would you like to stay at Riad Jaouhara? 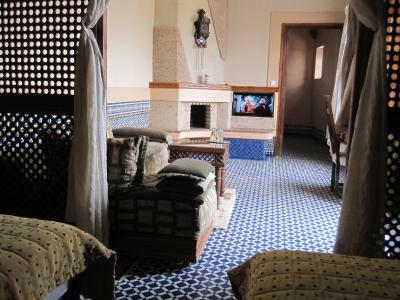 Decorated with traditional Moroccan tiles and featuring an original fireplace, this suite offers satellite TV and air-conditioning. 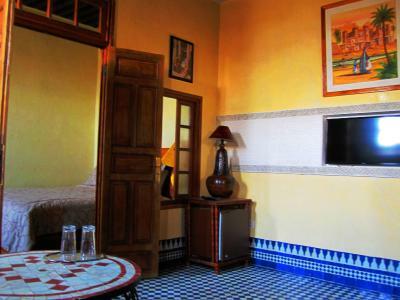 Decorated with traditional Moroccan tiles, this suite offers satellite TV and air-conditioning. 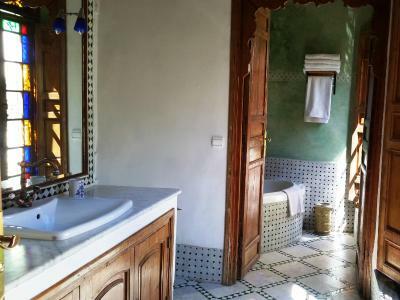 Decorated with traditional Moroccan tiles and split between 2 levels, this suite offers satellite TV and air-conditioning. Featuring a small sofa, this suite offers satellite TV and air-conditioning. 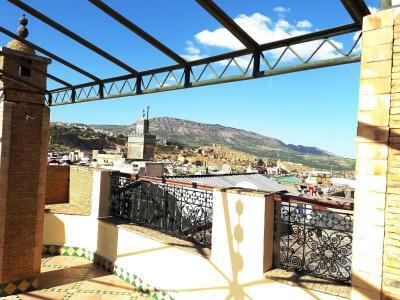 It includes a balcony with view over the Medina. This suite offers high ceilings, satellite TV and air-conditioning. 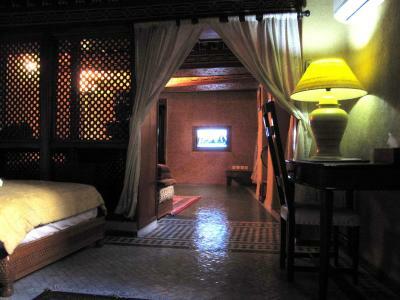 Decorated deep red tones, this suite offers satellite TV and air-conditioning. 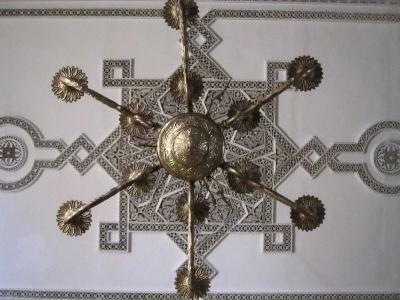 Featuring a decorative ceiling border, this suite offers satellite TV and air-conditioning. 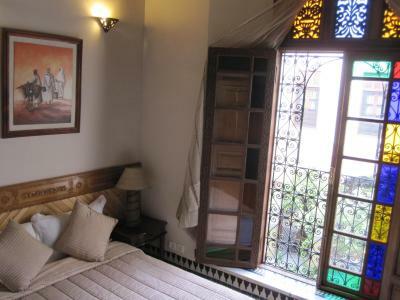 	The riad is situated near to the famous entrance between the blue gate (Bab Boujloud) and the Place Batha. 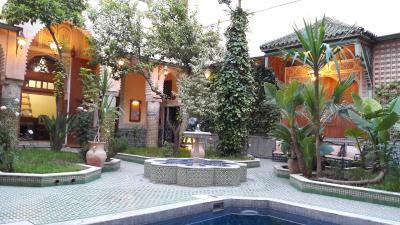 	A gorgeous riad which has a patio and nice garden. 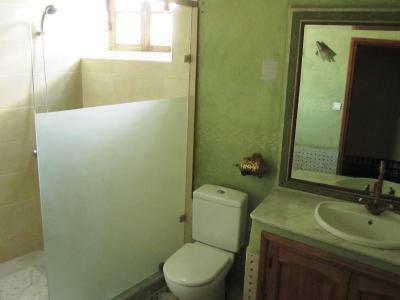 	Pure architecture, where the history seems through their materials and spaces. 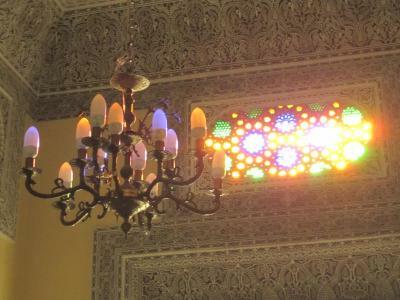 	A very old house of a reputed family in fez which had an amazing role in the development of the city and Morocco. 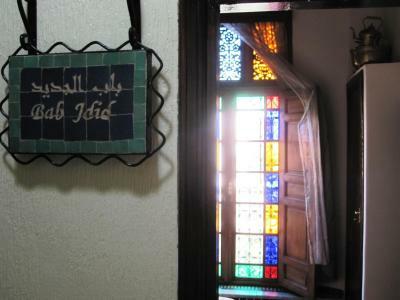 House Rules Riad Jaouhara takes special requests – add in the next step! Riad Jaouhara accepts these cards and reserves the right to temporarily hold an amount prior to arrival. Please inform Riad Jaouhara of your expected arrival time in advance. You can use the Special Requests box when booking, or contact the property directly using the contact details in your confirmation. 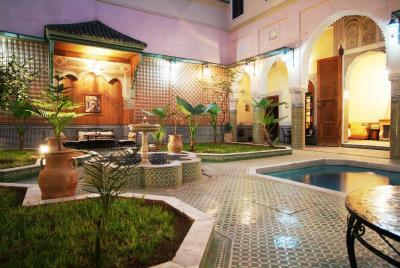 The weather, but that wasn't a problem the Riad could solve! Wifi didn’t work in the room but was fine downstairs in the courtyard area. - Taxi service for tours was okish. The driver dropped us at an inconvenient location near Medina. 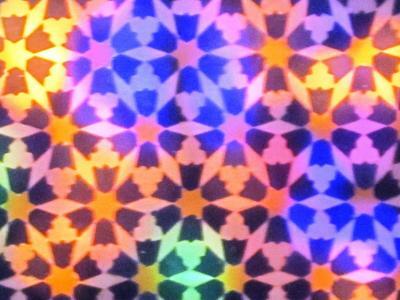 This place “reset” our experience in Fes from mediocre to fantastic. There’s free internet via wi-fi but sometimes the internet connection is lost. It’s a temporary technical issue that can easily be fixed. The location and the staff were excellent, especially Abdul who was always there for all our questions and needs. 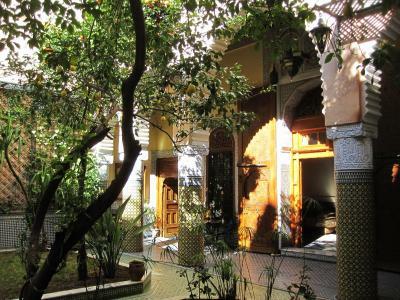 I would recomend the riad to everyone, a quiet and calming place in the chaotic city. 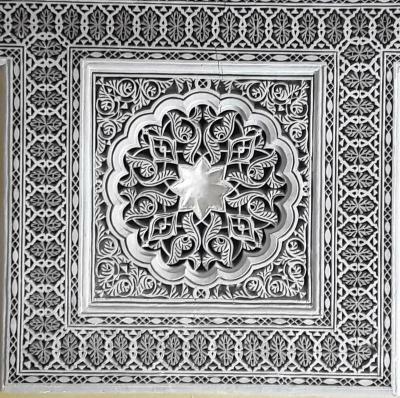 It's super central in the Medina of Fès and the staff was very helpful and nice. The room was suggestive and comfortable and breakfast was abundant. To be honest: nothing at all. On the contrary, we would recommend this hotel to everybody who has to spend one or more nights in Fes, especially if you visit the city for touristic purposes. 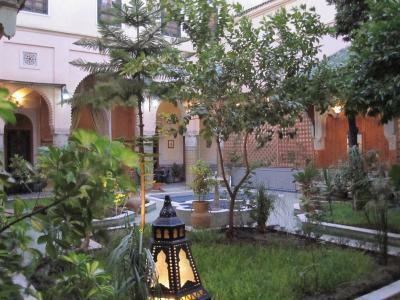 This RIAD is really a pearl, an oasis of peace and quietness within the hectic medina. We did feel really welcome. Staff and management are very kind and do almost literally everything to feel the guests comfortable. The beautiful, big rooms are clean. 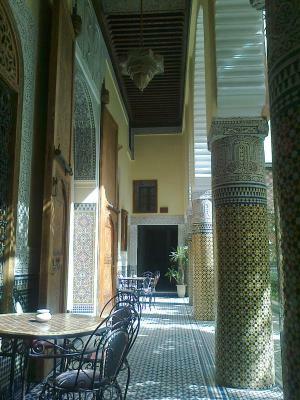 Breakfast: superb, served in the open atrium with birds singing in the trees and nice Arabic music playing too. Location: excellent. 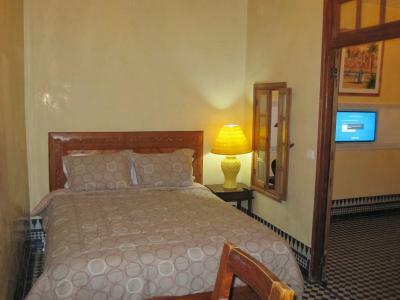 Car parking: make a reservation to be sure; it ‘s about 2 minutes walking from the RIAD. We will never forget our stay in this lovely hotel. If it would have been possible we would have extended our stay with at least a week. The wi-fi connection from our room was not the best as the phone only connected if standing next to the bathroom window. 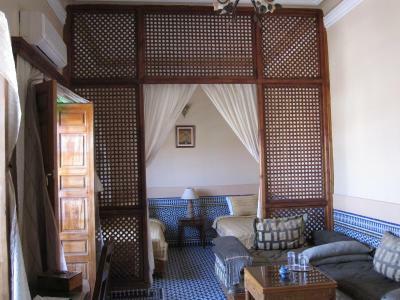 The Riad is just amazing! Our room was very spacious and decorated with attention to details. The staff was really helpful and happy to answer any question. The breakfast was great and you could easily skip lunch! 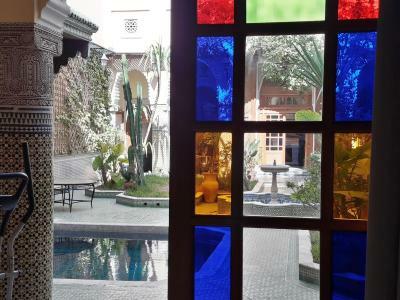 Do not miss a visit to the terrace for a great view of the medina.